SOLD! SOLD! SOLD! 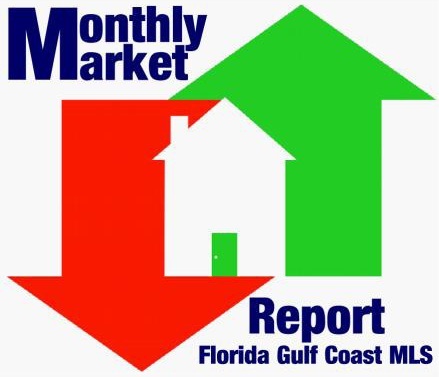 Sales of single family homes in Lee County have exceeded 1,000 per month for five straight months. In July sales increased 6.8%, from 941 July 2012 up to 1,005 in 2013. This is showing us a continued demand for homes in the area even with supply being limited and prices (along with mortgage rates) going up. So what about all those foreclosures and short sales you ask? Distressed properties accounted for 25.4% of existing home sales in July. Last year, same month, they represented 33% of the market sales. That’s a pretty significant change in the market and just goes to show the continued healthy improvement we are seeing. Even though normal home sales dominated the market with a 74.6% piece of the pie, the median price in the area dropped 11.9% from June. Now at $163,000, the median price is still 20.7% above the July 2012 mark of $135,000. What’s interesting to note is the amount of pending (under contract) single family home sales. In July there were 1,149 homes that went under contract, a whopping 24.6% increase month over month. Now let’s talk supply. Inventory, or lack thereof, has been one of the big market drivers over the last year. In July there were 4,924 properties for sale compared to 5,668 in July 2012. This shows a drop of 13.1%, although I must note the inventory decreases have leveled off. Doreen Falcone, Realtor Association President, states “Strong sales in July reflect that many local residents and investors are competing for limited inventory in lower pricing tiers. The market remains challenging for local residents as there is stiff competition from cash sales and only 27% of available inventory is priced under $150,000”. So how long does it take to sell a home now? Glad you asked! The median days on market for a single family home is now at 49 days. This is on par with July 2012. However, this is a drop off from June of 8 days. As a whole, we now have 5.0 months of inventory on the market based on where we are with current sales. Miss out on June's market update? Take a look at it here. Well that’s it for this month’s update. If you are ready to take the next step click the contact us button or call 239-671-4046 and we will get you the right home, in the right place, for the right price…that’s the Pinnacle Promise!